As the art of tattooing continues to soar, tattoo enthusiasts are finding inspiration in diverse areas. 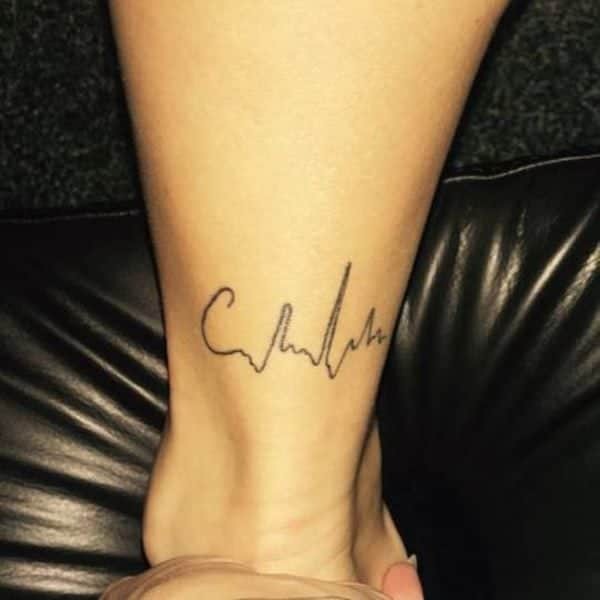 Heartbeat tattoos are some of those intricate tattoo designs that beautifully expresses one’s personality and love for dear ones. The design comprises of simple artwork to a more complex design. 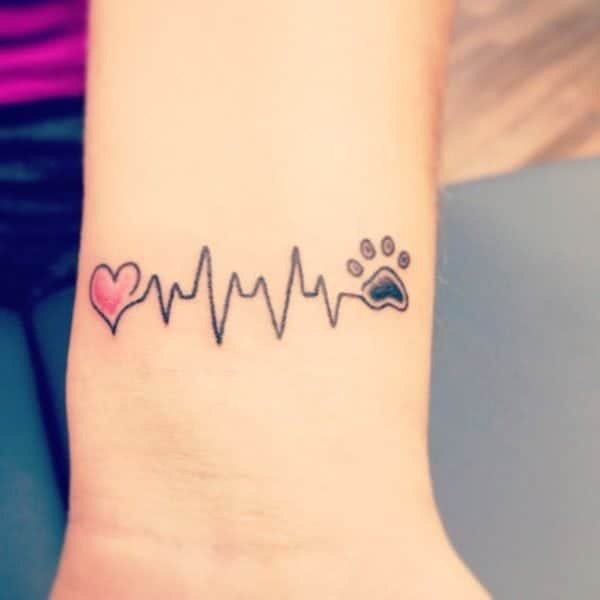 Heartbeat tattoos can be designed in a very appealing and unique way. Various elements can also be incorporated in order to make the design to be more classy. 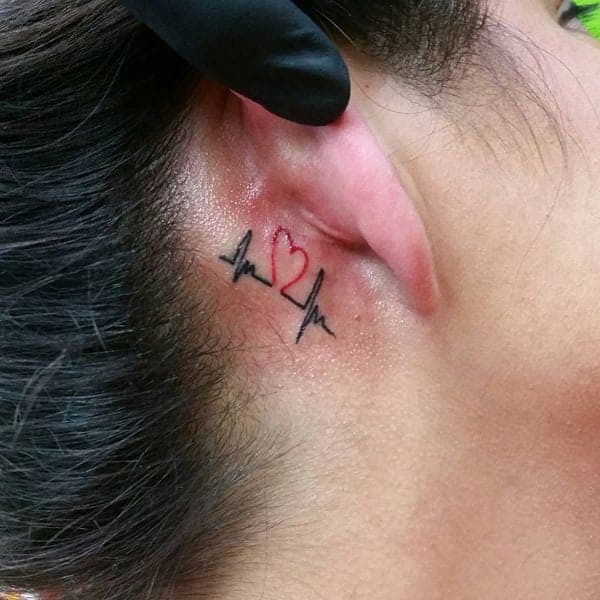 Heartbeat tattoos come with extraordinary inking possibilities that tattoo enthusiasts can take advantage of. 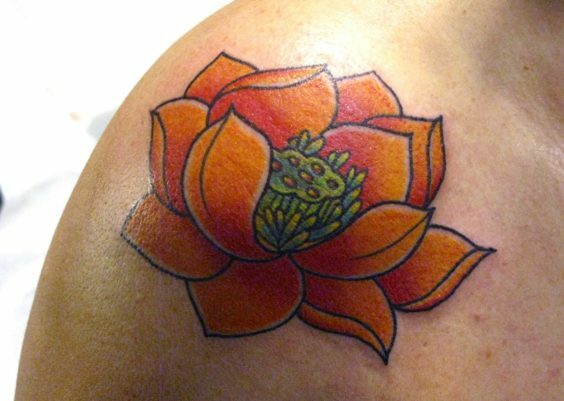 Take your time and scroll through to some of the dynamic tattoo ideas that you can consider inking. One great thing with heartbeat tattoos is the fact that it looks great on both men and women. 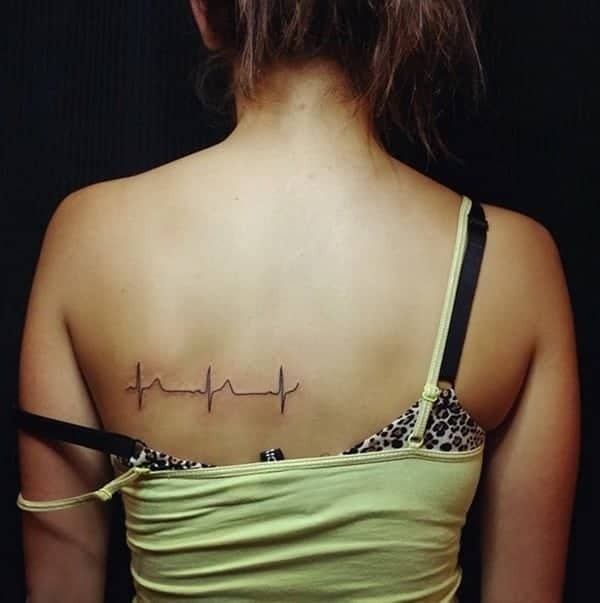 Heartbeat tattoo is also referred to as EKG line tattoo. 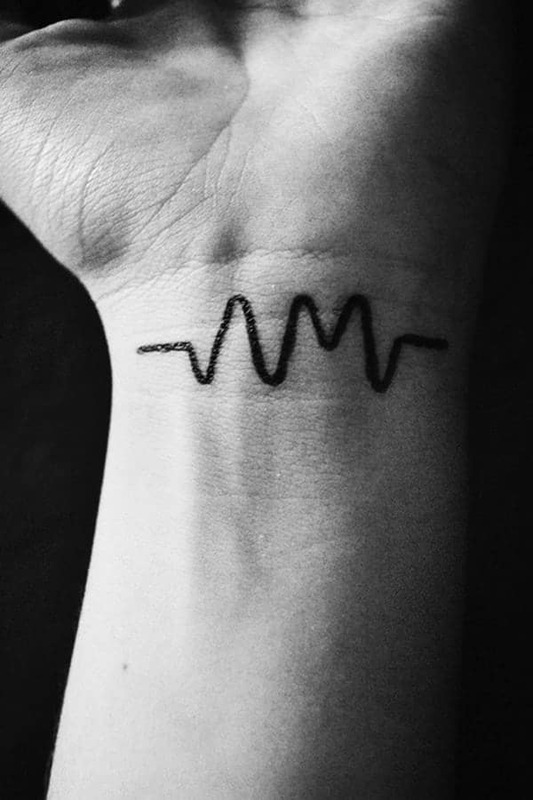 The tattoo looks quite similar to the wavy lines that get formed as the heart beats. There are diverse meanings associated with the tattoo such as remembrance of a loved one, or celebration of something special. Before deciding on wearing a heartbeat tattoo, it’s advisable that you get well conversant with what it symbolizes. The tattoo looks trendy but also symbolizes several things such as time running out. The design can act as a reminder to the wearer that each moment is important and should be spent well. The tattoos could mean that a person appreciates life especially if they have experienced something that’s life-threatening. It could also mean that the clock is ticking and time is fast moving. The tattoo could also be an expression of commitment and love between couples. 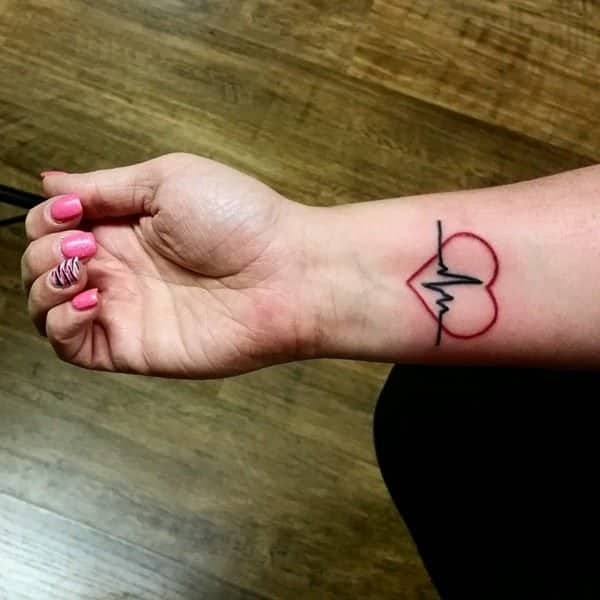 Heartbeat tattoos are simple to design and can be incorporated with other beautiful elements. The design can be personalized in a way that expresses the in-depth feelings of the wearer. The wrist is a cool place for wearing a heartbeat tattoo. Since most of the heartbeat tattoos are done in one or two colours, one should use an expert artist in design. 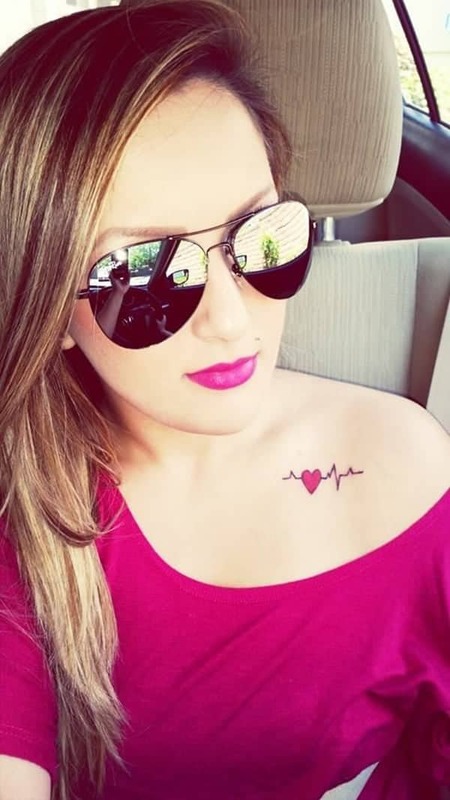 Wearing a heartbeat tattoo means that your heartbeats for something special. The below design looks quite intricate with the beautiful elements blending so well. The tattoo covers quite a wide area which looks great however one should, take the size into consideration before inking. 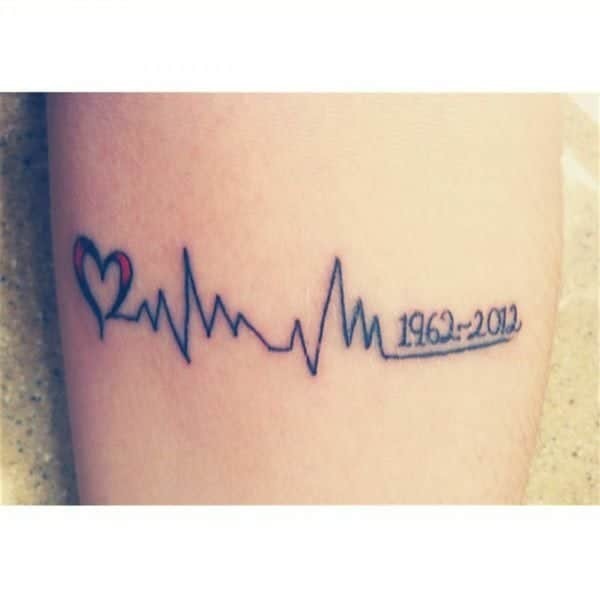 Heartbeat tattoos can also be worn as a great way of expressing a connection with loved ones who are dead. Inking the wavy heartbeat in a strategic place such as the chest area shows the connection that one has with a loved one. 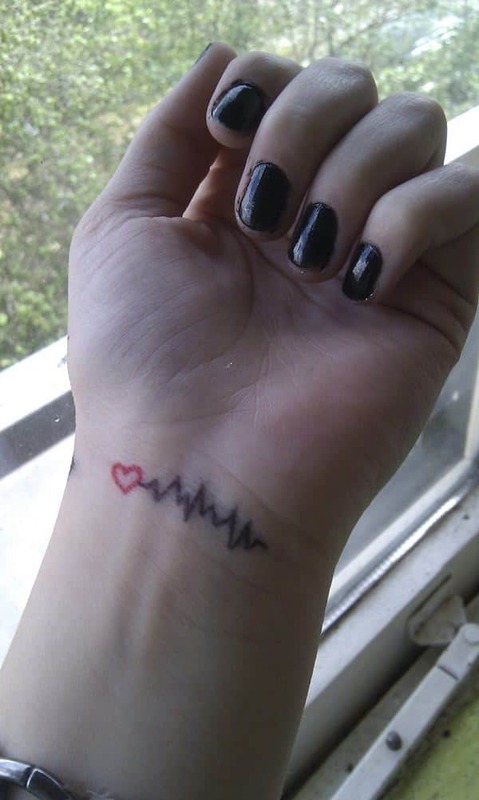 Heartbeat tattoos can also be as simple as the design below. The design expresses the word passion in a very wavy way which is elegant. The pricing of inking tattoos varies depending on the tattoo studio, location and level of expertise of the artist. Before you opt for inking, ensure that you are also comfortable with the pricing. Most professional artists charge between $50 – $300 per hour depending on the studio. Since inking can be a bit costly, you should settle for something that you will be proud of once the process is over. 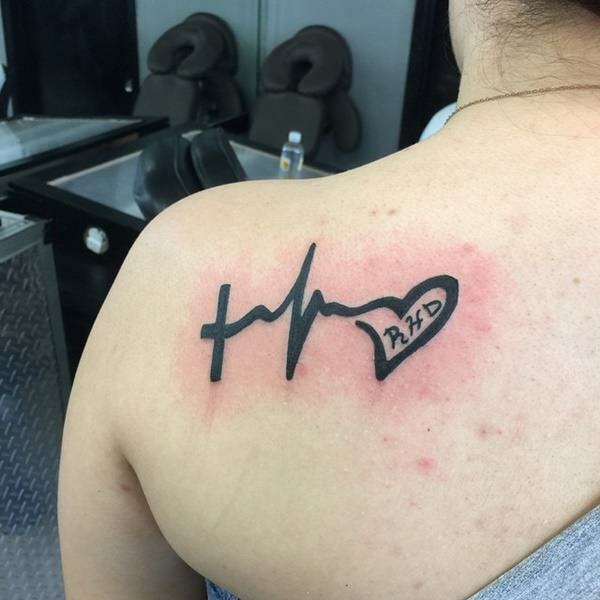 Use of dates in heartbeat tattoos is also common. The date can be of the wearer of the tattoo or a loved one. One can also choose to incorporate messages with the heartbeat tattoos. 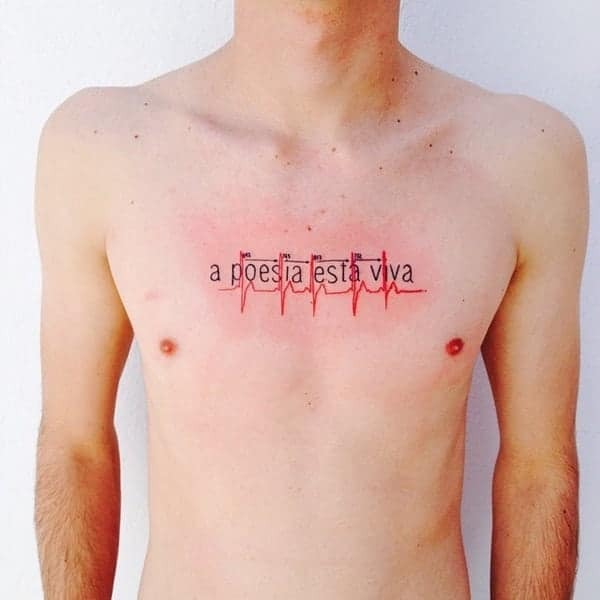 The design below shows the writings combined with the tattoo design. The back is a cool place for wearing the tattoo and the below design looks cute on the back where it’s worn. Use of one colour also blends well with the wearer’s complexion. Placement of heartbeat tattoo is another key factor that should be put into consideration. Pulse symbol if well designed with an expert artist can fit well in any part of the body. Most people prefer wearing the designs in different places such as the feet, arms, back, legs and other places. 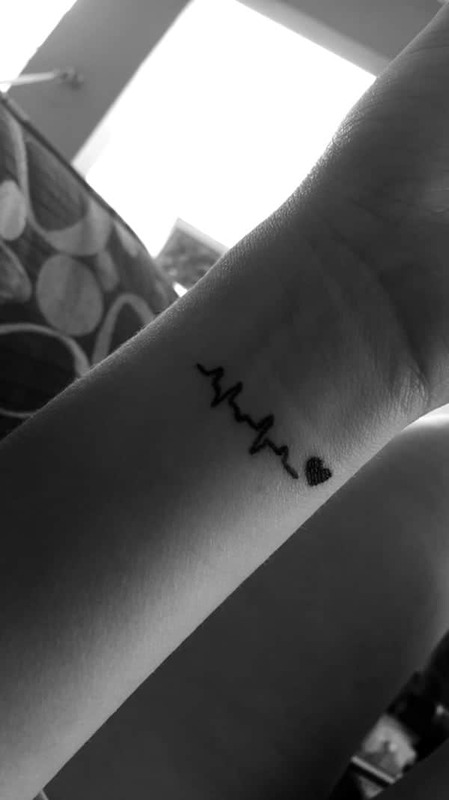 Heartbeat tattoos can be combined with adorable elements that add to the beauty and elegance of the design. If you feel a deeper love and connection with your sisters then the below design is an inspiration. 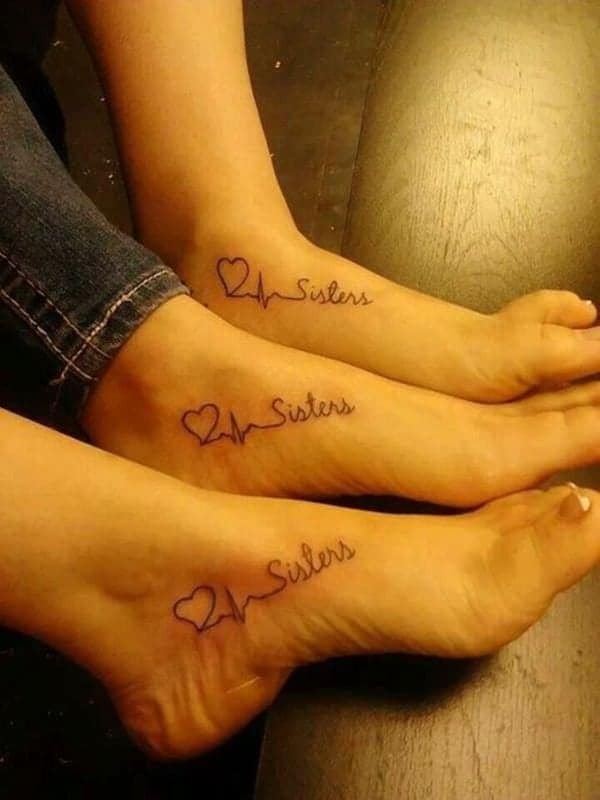 Having all your sisters adorn the same tattoo with the words as shown below is a great expression of love. The forearm is another cool place for wearing the tattoos. The design below looks spectacular with the elements used enhancing its beauty. If you are a fan of animals then adding the element of your favorite animal makes the entire design to look great. It’s important to note that the place you choose to wear a heartbeat tattoo should be spacious enough to accommodate the design. The design below is large enough and fits well on the forearm where it’s worn. Behind the arm is another cool place for wearing heartbeat tattoos. The one color used in the design looks cool and blends well with the wearer. 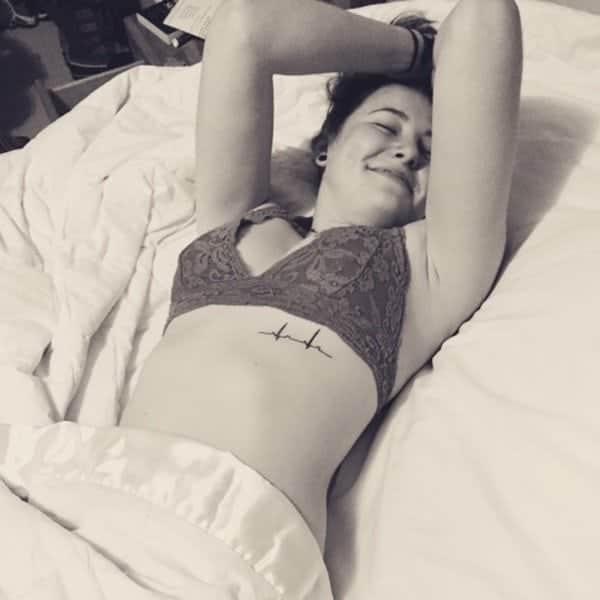 Placement of heartbeat tattoos highly depends on the wearer’s preference. One is free to add the elements that they deem appropriate for them. The word used in the design alongside heartbeat tattoo shows a clear meaning of what the design means to the wearer. Just keep breathing is a deep word that’s encouraging not only to the wearer but also those who sees it. The ribcage area is another ideal place for wearing a heartbeat tattoo. If you don’t want the tattoo to be visible to all then you can consider the rib and stomach area. The elements used adds a mysterious appeal to the design which is unique to the wearer. The elegant graph expressing a beating heart which intensifies at the center is just elegant. Use of design elements has a way of enhancing the beauty and elegance of design. The color combination is great and blends well. 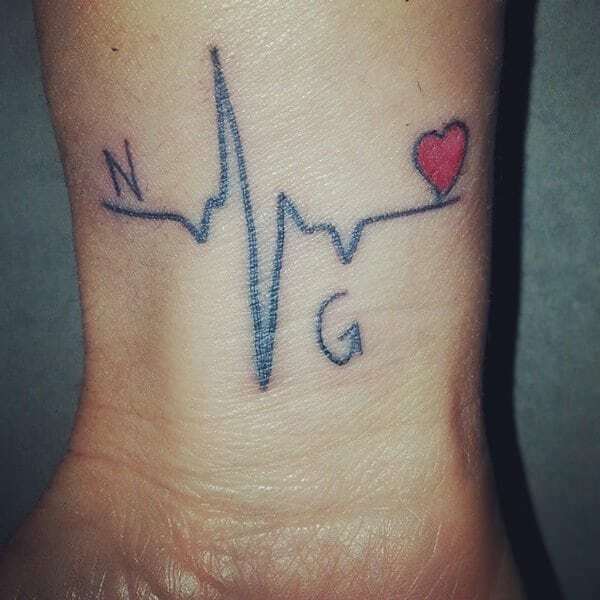 The heartbeat tattoo design below expression the love and connection between the wearer and a close person who’s departed. Connecting the heart element to the years spent shows a cool way of honoring and staying connected to the loved one. Tattoos can last for years and even for life depending on the intensity of the inking. Just ensure that whatever element that you connect to the design is something you can live with. There is no better way to express love for your family than wearing a tattoo that expresses the same. Let your family know that you love them by wearing the tattoo in a place that’s visible to all. 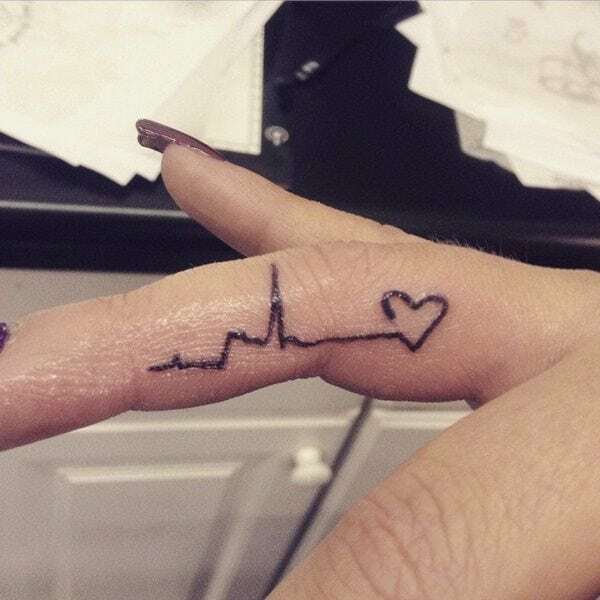 Heartbeat tattoos can as well be worn in the hand. Combining the tattoo with a message like the one below adds to the beauty of the design. If you are considering wearing a large piece of artwork then consider a large space. Another ideal placement for heartbeat tattoo is the stomach. The place is spacious enough and works well for larger designs. The design below expresses a deep connection with the wearer’s faith. The elements used such as the cross and the bible verse acts as a constant reminder to the wearer. Wearing such a complex design with a rich meaning can act as a source of encouragement. 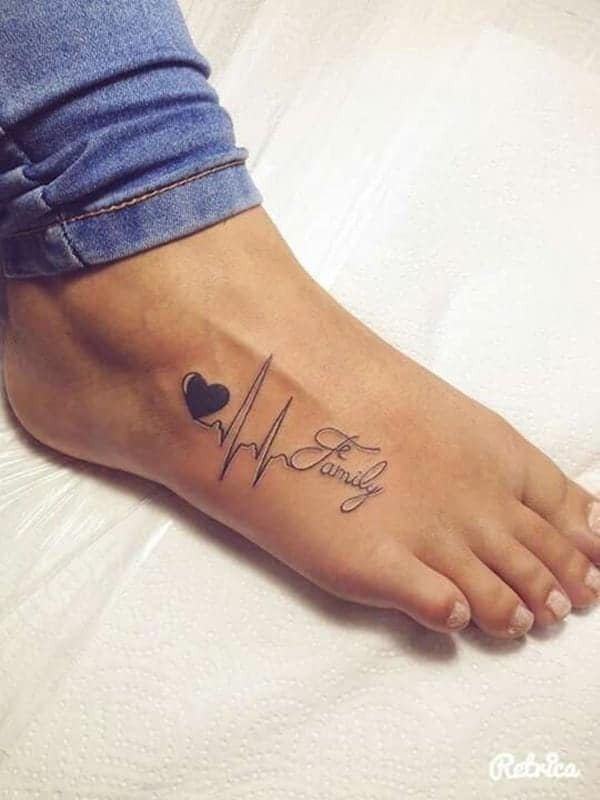 Having knowledge of what the heartbeat tattoos symbolize is helpful as you get to know whether the design is ideal for you. 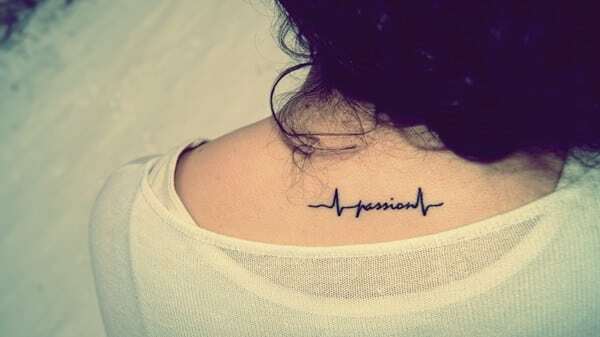 Heartbeat tattoo symbolizes several things such as power, strength, love, passion, endurance and persistence. Wearing the tattoos expresses the personality and character of the wearer in a subtle way. 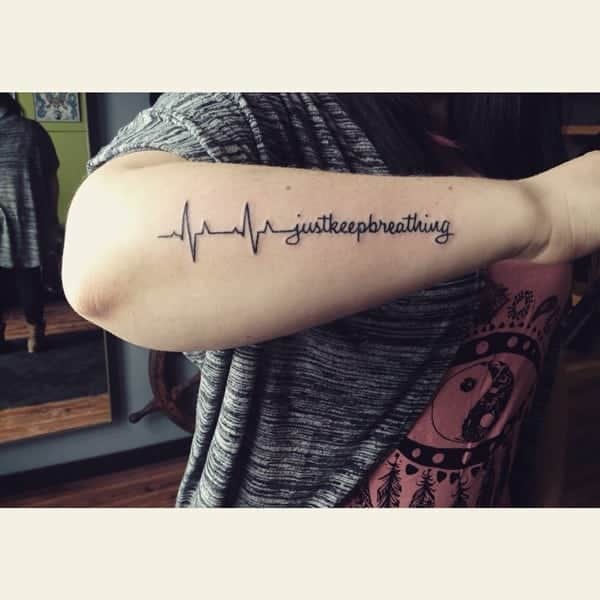 The design below expresses a more relaxed heartbeat tattoo design. It looks good on the wrist where its worn and blends well with the wearer. Although the tattoos may appear simple and stylish, the meanings and symbolism associated with the designs are a bit complex. The design below looks cool on the rib cage where it’s worn. 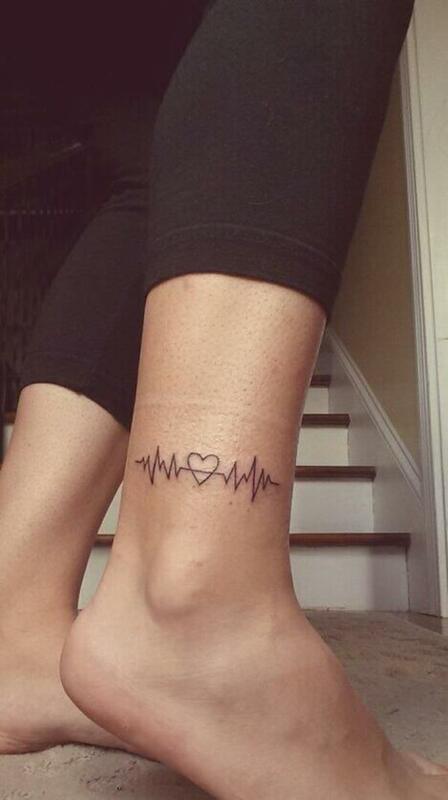 Heartbeat tattoos also symbolize moving on with life despite what has happened. Wearing the design acts as a source of inspiration or courage to keep going. If you are looking for a design that provides room for creativity then heartbeat tattoo is a great choice. The design looks magnificent and fits well in the heart area where it’s worn. One is also free to personalize their tattoos by adding variations and elements as desired. The addition of a heart symbol to the wavy lines adds to the elegance of the design. Heartbeat tattoos vary in diverse ways with some having elements and others are just inked plain. Take your time and sample the style that suits you well. You can either opt for colored designs, one color or bold colored ones. Regardless of the style that you choose, ensure that its something you can stand seeing for as long as you can. The process of tattooing is painful and once inked, removing the tattoo is never easy. One should take all the necessary factors into consideration before settling on any design. 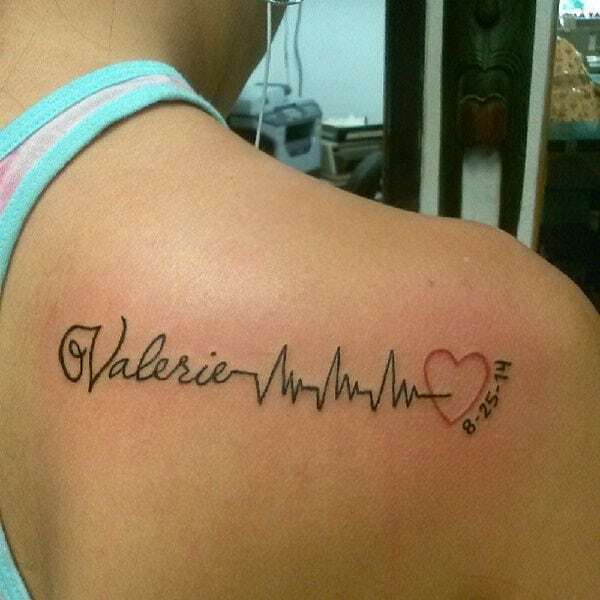 The thick bold lines used in the heartbeat tattoo design below enhances its overall outlook. The tattoo also fits well on the wrist where it’s worn. Various elements with sentimental meaning can be incorporated into the design for a more appealing outlook. The design below has symbols of the heart and letters that definitely carry some deep meaning for the wearer. White ink heartbeat tattoo designs also look spectacular however one has to be very keen to notice them. If you are looking for something that’s subtle and not very pronounced then consider going for the white ink tattoos. The design below fits well on the wrist where it’s worn and blends well with the wearer. 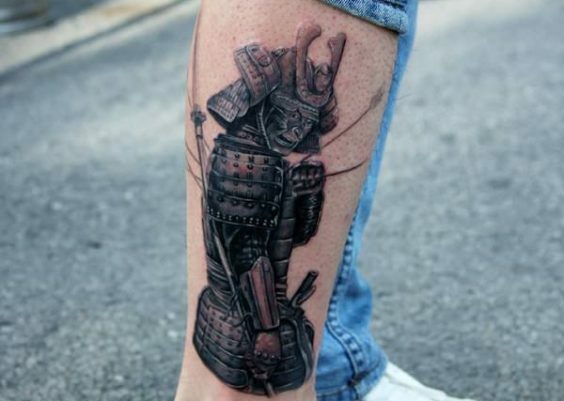 When it comes to the world of tattooing, being creative is highly encouraged. As much as you get inspiration from the ideas shared on this platform, you can also consider tweaking the design for a more personal and appealing outlook. Instead of solely relying on your tattoo artist, you can also come up with some ideas for an appealing design. The choice of tattoo and colors used if any should express something that you are comfortable with. Things like numbers, shapes, color and different line texture can be incorporated into heartbeat tattoo designs. The shapes can take the form of a heart or something that ignites beautiful memories. The numbers can also express the date of birth or some special numbers that are unique to the wearer. You can also add personally inspired elements that enhance the beauty of the design. The bold wavy lines that are connected to the heart symbol looks so adorable. Combining some distinct features with the heartbeat tattoo design can in a great way impact the overall outlook. The design below looks amazing yet very simple. 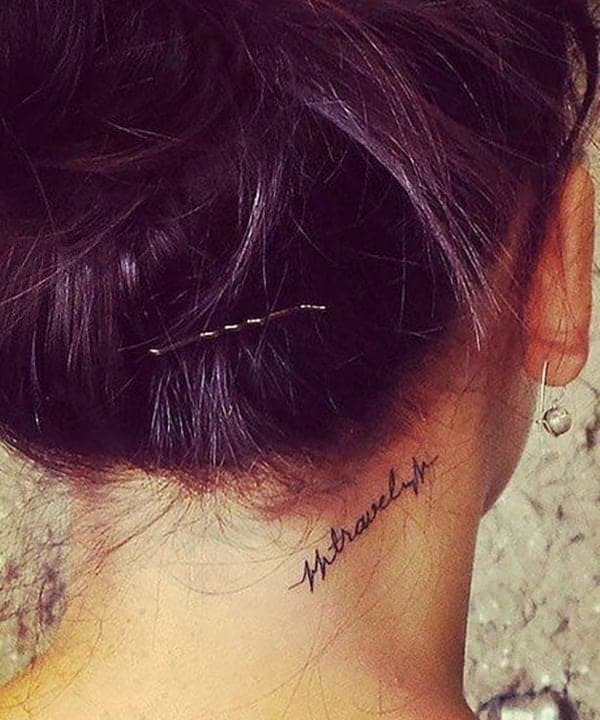 If you feel relaxed whenever you think of a friend you may want to associate the tattoo with then consider inking relaxed wavy lines. It means that thoughts about them bring peace of mind and relaxation. 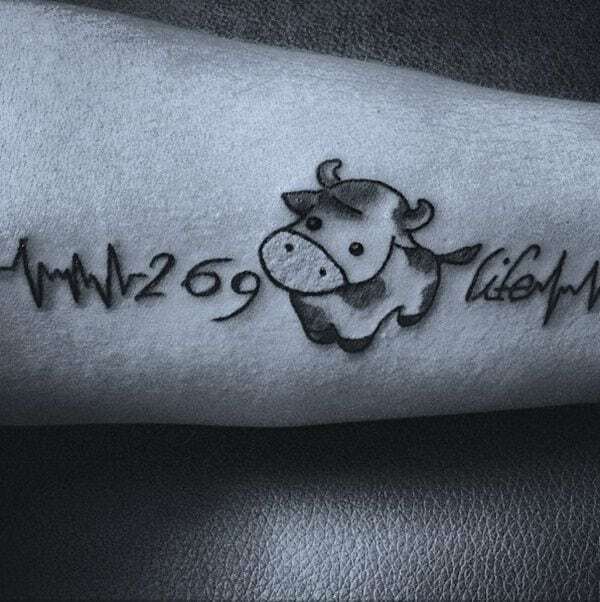 The design below looks epic and shows how relaxed the heartbeat lines are. 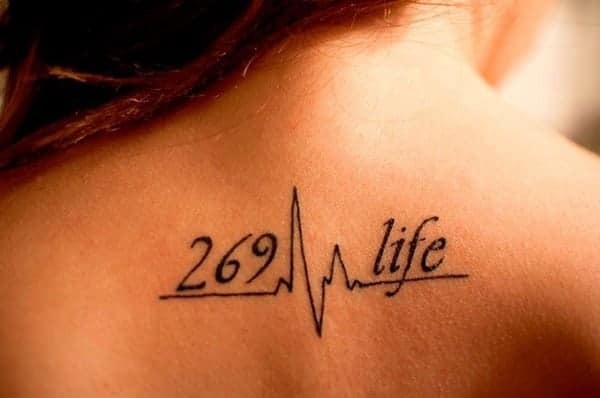 As the popularity of heartbeat tattoos continues to rise, many tattoo enthusiasts are opting for amazing designs to ink. There are inspiring tattoo ideas that you can consider inking. Consider incorporating features and elements that express more of your personality. 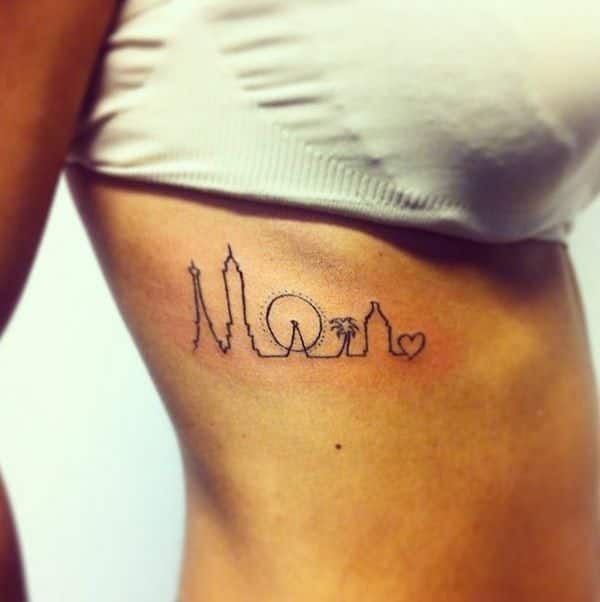 You should also take note of the place you choose for the tattoo. Some designs look great when worn in areas with larger spaces especially if the tattoo is a large one. Beneath the forearm is a beautiful place for wearing heartbeat tattoos. The design looks cool with the blend of two shades. The place that one wears the tattoo also expresses the meaning one associates it with. 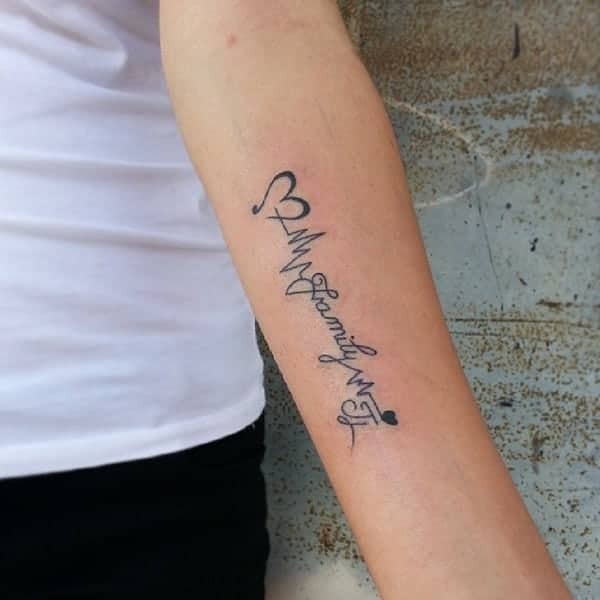 If you wear a heartbeat tattoo as a way of expressing your love for a person dear one then consider areas that enhance the connection. The chest works as a beautiful place for wearing heartbeat tattoos. An artistically designed line like the one below looks magnificent on the wearer. Apart from using words to enhance the beauty of heartbeat tattoo design, you can also add a blend of colors. Colors have a way of making tattoos to pop and brings more life o the design. The colors used in the design blends so well and enhances the wearer’s visual outlook. The placement of the tattoo and the combination of a blend of colors looks great. 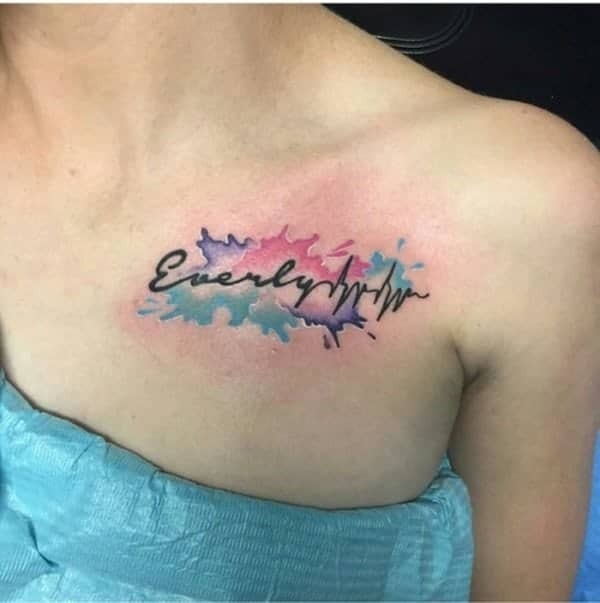 The combination of a phrase and the heartbeat tattoo also makes the colors to pop so well. Before you decide on inking any tattoo, there are aftercare tips that you should be well conversant with. 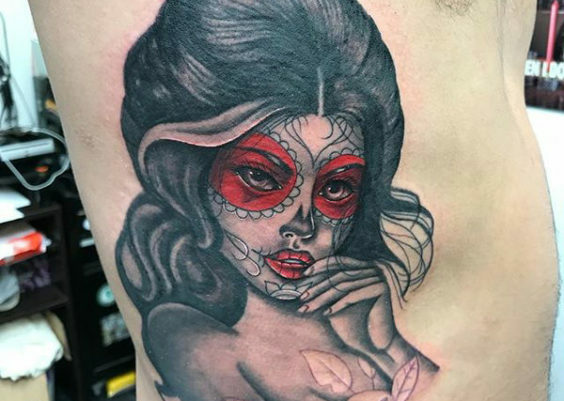 Having knowledge on how to take care of the tattoo can help with evading some ailments and infections that come as a result of poor aftercare. As much as the aftercare begins at the tattoo shop, you will require insight on how to take care of the wound until you’re healed. Ensure that you apply a layer of antibacterial ointment each day at least twice. Ensure that you wash the tattoo area with water and soap before applying the ointment. Pat the skin with a paper towel after washing then let it air dry. Avoid submerging the tattoo in water and try not to make the tattoo wet for the first 3 – 6 weeks. Submerging the tattoo that’s yet to heal in water can slow the healing process and it’s also not healthy. 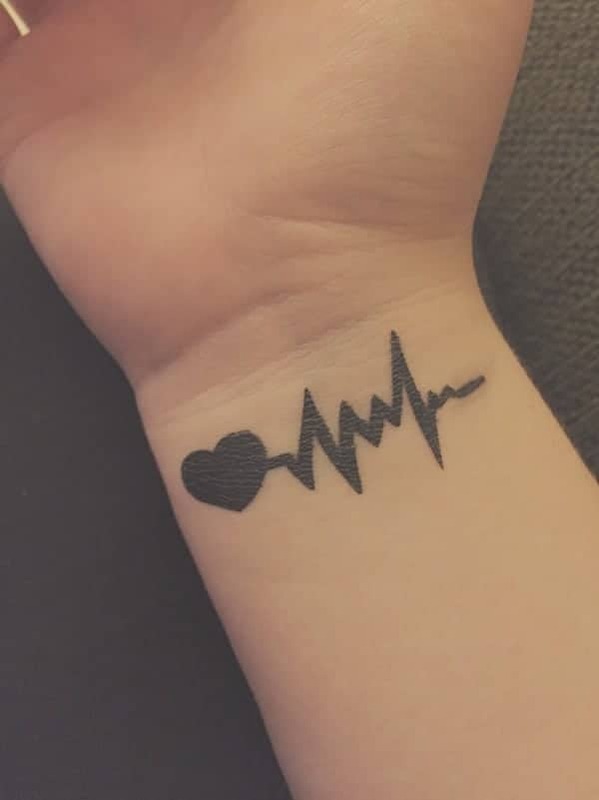 Whether its just a tiny heartbeat tattoo like the one below or a huge one, aftercare should be given priority. Even if the tattoo is in an open place like the hand, just ensure that you give the necessary aftercare so that it can heal fast. The design below looks cool and fits well in the tiny place where it’s worn. As an aftercare measure, you should also take into account the environment within the tattoo studio. Inquire about the type of aftercare that the studio provides. Find out if all the materials they use such as needles are properly sterilized or new. Ignoring the safety precautions may lead to getting infections that could be easily avoided. Once the tattoo begins to flake off, you should then be gentle with it as you clean and moisturize. Tattoos are normally itching around the second week so a moisturizer can be used to relieve the itch. Flaking of the skin can also cause the tattooed area to be dry and pale so moisturizing and protecting the tattoo from the sun can be helpful. The heartbeat tattoo design below looks magnificent at the place where it’s worn. 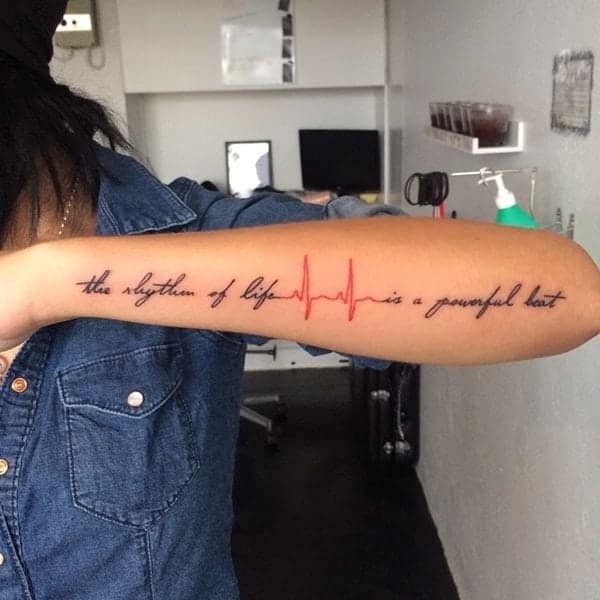 The tattoo is a good combination of heartbeat tattoo and words with both blending perfectly. 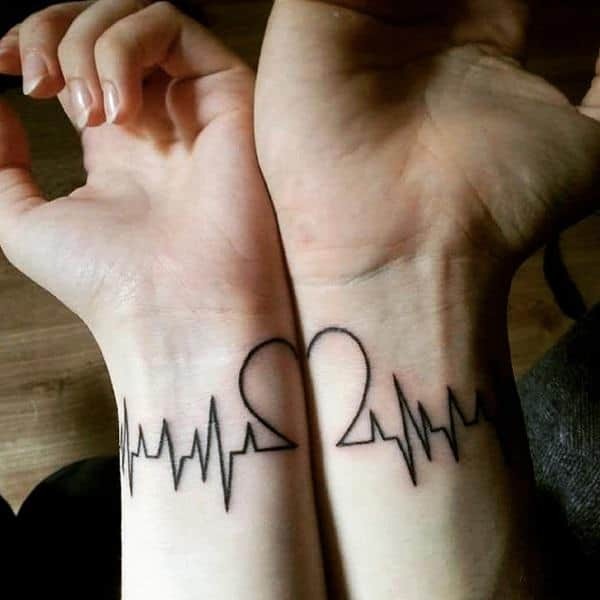 If you are looking for inspiring heartbeat tattoo ideas that you can consider wearing as a couple then the design below looks great. Couples can ink a similar tattoo in a way that expresses unity and love between the couple. The design below looks spectacular as they match so well. There are various inspiring ideas that couples can consider. Wearing matching heartbeat tattoos as a couple expresses love and understanding between couples. Other elements can also be added to the designs to make the outlook more appealing and intricate. The place the tattoo is worn is a cool place for wearing couple themed heartbeat tattoos. 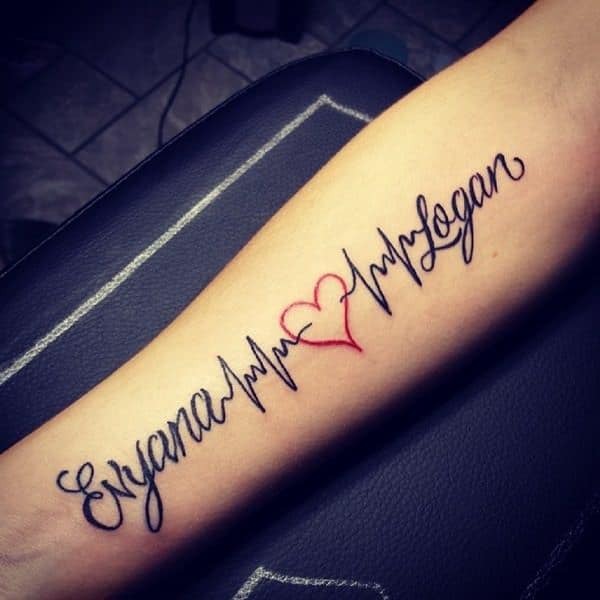 By inking the name of a loved one alongside the design, it also shows how they value each other. A look at the design below brings to attention some key things that the wearer is expressing. The combination of date, heart and name to the design enhances the beauty and complexity of the design. 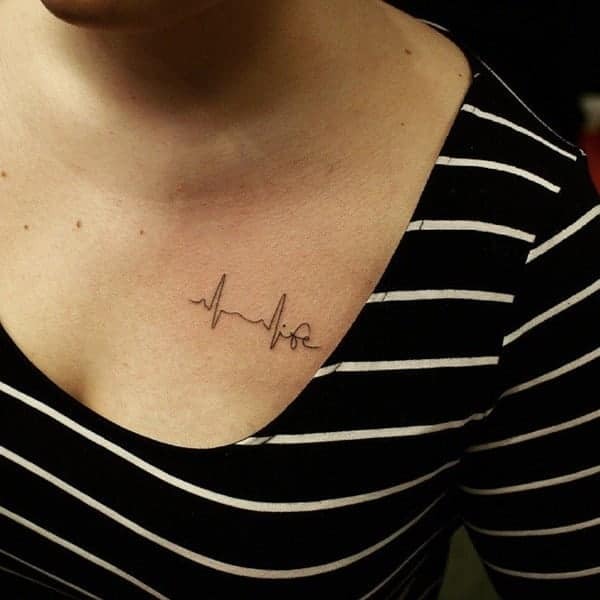 Heartbeat tattoo design below is not only attention-grabbing but also quite well-thought. It shows the wearer’s love and adoration for their country which is quite inspiring. 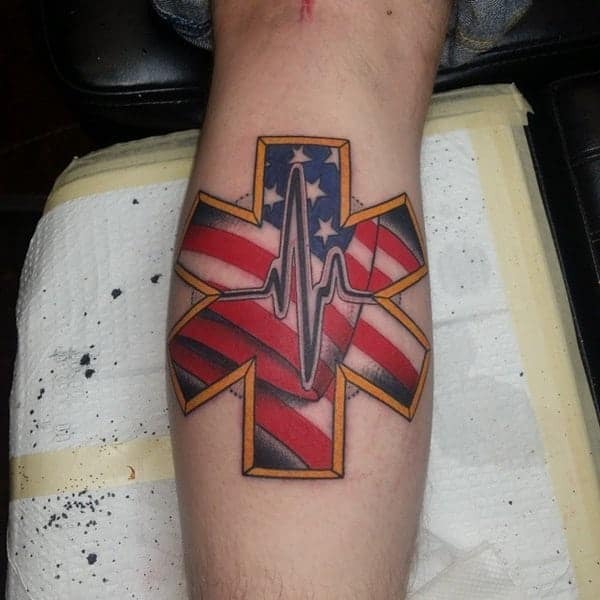 The heartbeat tattoo design blends well with the flag. The color combination is also cool and creates such an eye-catching appeal. The artwork features a beautiful monochrome that adds to the elegance of the design. The use of different colors also brings out a beautiful blend of the entire design. Use of bold and initialed lines expresses an exemplary artwork. The bold dark shades used in the tattoo creates such a magnificent outlook. The upper back is another area that’s cool for wearing heartbeat tattoos. 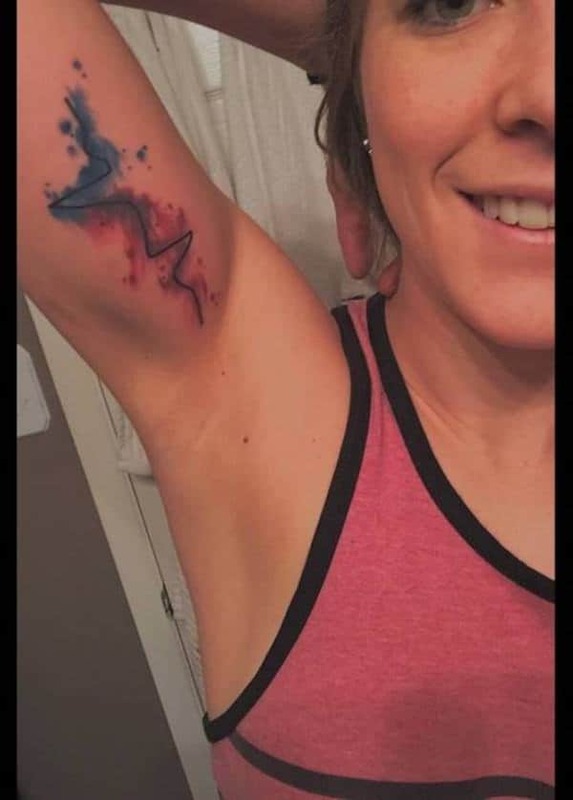 The fact that its a heartbeat tattoo doesn’t mean that they follow the same pattern. You can be creative enough and come up with a pattern that appeals to you. 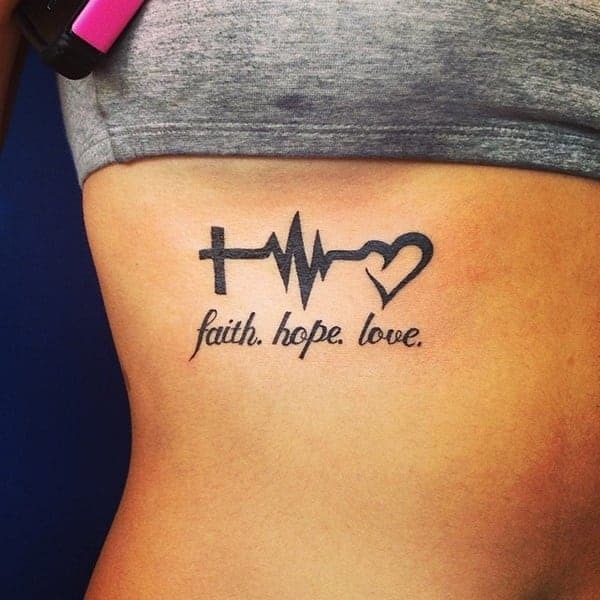 Combining a phrase to heartbeat tattoos expresses in detail what it signifies to the wearer. Phrases is a good way for the wearer to actually express what they feel. They can also express the meaning that they associate the tattoo with. The phrase used in the design below is large enough and fits well on the arm where it’s worn. The combination of two colors with red for the heartbeat and dark for the phrases looks epic. Use of a color has a way of enhancing the beauty of a design and also brings life into the artwork. Color elements can be used by both men and women to enhance the beauty and elegance of a design. If you are not into using one color for the heartbeat tattoo designs then consider incorporating your favorite color. The pink and yellow shades used in the heartbeat tattoo design below looks spectacular. The heart symbol in the colors and the wavy dark lines also blends well with the design. The big heart with the heartbeat tattoo symbol is another elegant piece of artwork. It looks quite feminine with the colored heart symbol enhancing the beauty of the design. 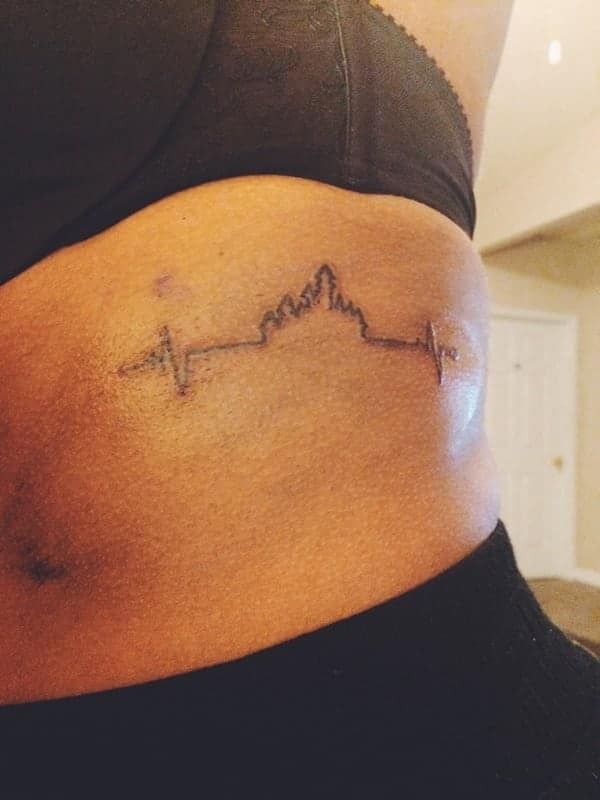 Heartbeat tattoos have such a magnificent outlook regardless of whether they are small or big. the design below looks adorable and is quite eye-catching. Dark bold shades used in the design below has a way of enhancing the beauty and elegance of the design. The wavy lines combine well with the intricate writings used in the design. The writings included in the design looks spectacular and adds to the complexity of the design. The use of one color also blends well with the wearer. If you are on the lookout for tattoo ideas then the design below is worth trying out. The design is simple and quite engaging. 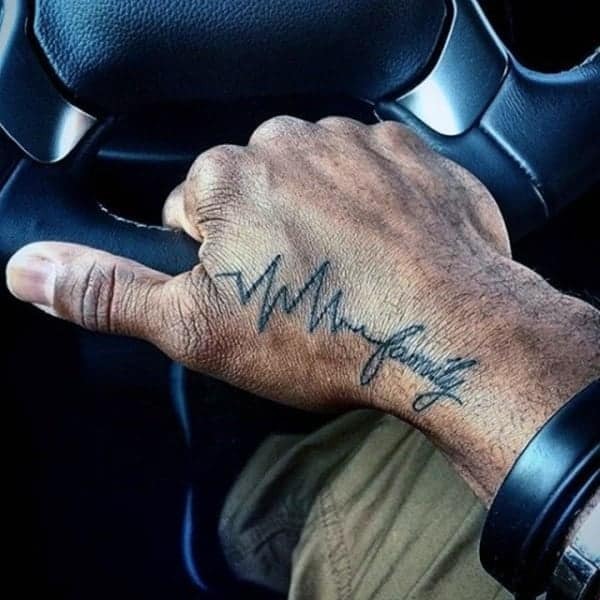 Heartbeat tattoos can be quite electrifying to look at with the wavy lines looking fabulous. The one color used in the tattoo below is not only cool but also blends well with the wearer. Instead of ragged wavy lines, the sharp lines used in the tattoo looks sleek and epic. Wearing heartbeat tattoos right where you can feel the actual heartbeat is adorable. It also brings out the deep meanings associated with the design. The beautiful use of colour alongside the words enhances its overall outlook. The intense rhythms of the heartbeat and the words used make the design to be quite eye-catching. The area around the chest is suitable for large tattoos. If you incorporate writings then you need a place where every word can be clearly seen. If you are looking for some dynamic piece of artwork then consider using bold dark colors. 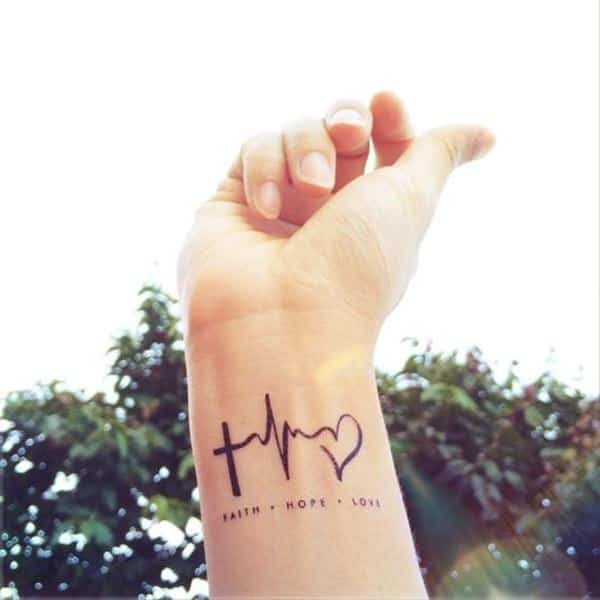 The heartbeat tattoo below is beautifully designed and blends perfectly well with faith, hope and love. The words that are etched beneath the tattoo not only carry a great meaning. The words also add to the magnificence of the design. 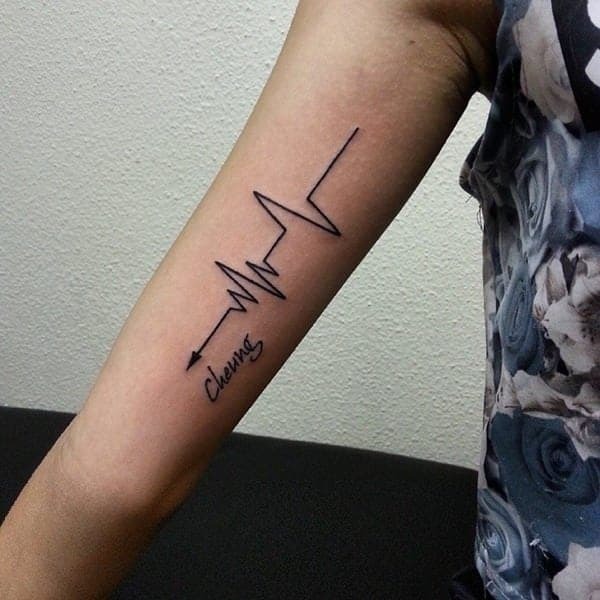 One thing that makes heartbeat tattoos to be quite understanding is the complexity expressed with jagged lines which are ruggedly chic. The design looks spectacular with the heart symbol creating an adorable blend. The design below is great for both men and women and it’s beautifully etched on the arm. The placement of the heart symbol at the center with an adorable red color adds to the beauty of the design. 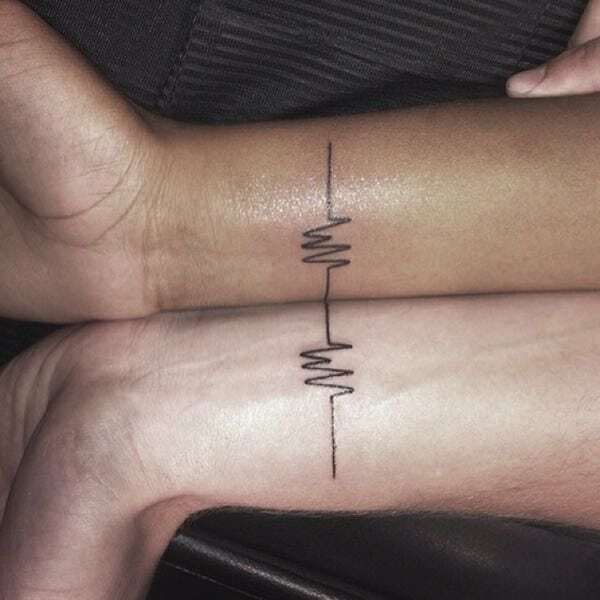 Couples can express their love and feelings for each other by wearing a similar heartbeat tattoo. The combination looks epic and beautifully completes each other. 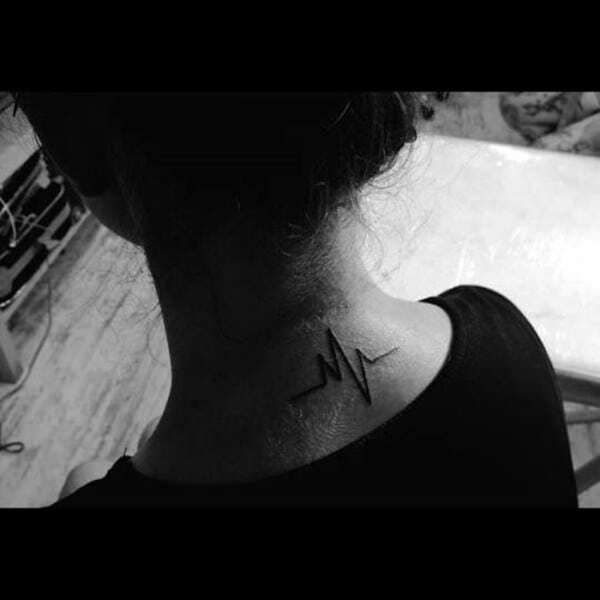 Heartbeat tattoos can either be inked with an expression of a rapid heartbeat that shows some adrenaline rush. You can also show a more relaxed rhythm at a gentle pace. The design below shows a balanced rhythm in the heartbeat which is great for couples. Behind the ear is another beautiful place for wearing heartbeat tattoos. 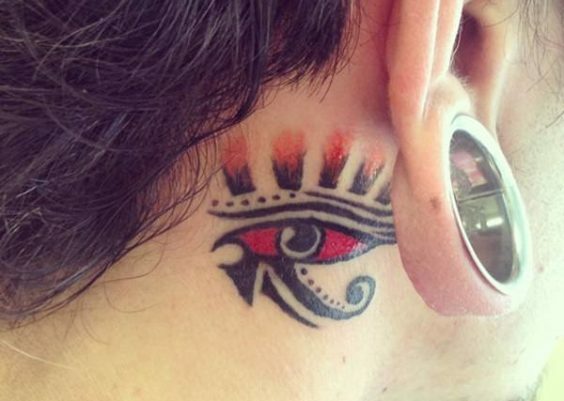 If you don’t want your tattoo to be visible to all then you can consider placing it behind the ear. The place is, however, is suitable for smaller sizes of tattoos. 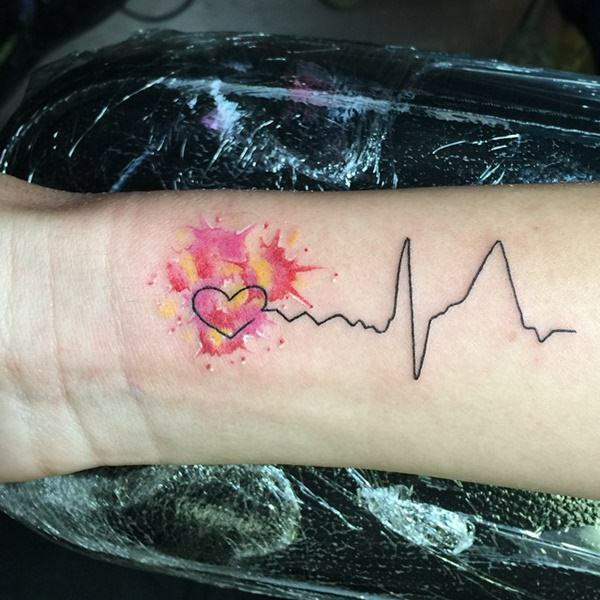 Heartbeat tattoos are so adorable especially when the colors used blend beautifully. The combination of red and black looks cute behind the ear where it’s worn. 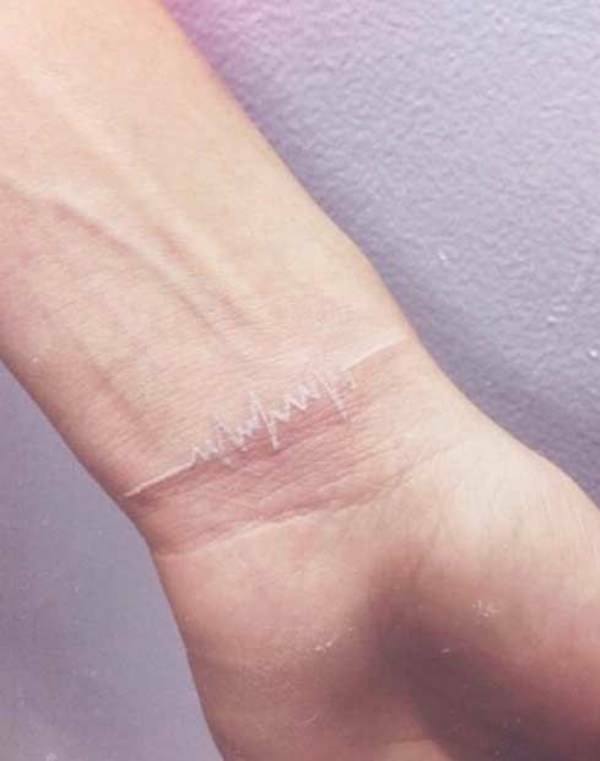 Realistic heartbeat tattoos express a clear picture of what the design entails. The heartbeat tattoo design below looks spectacular with the wavy lines expressing what actually happens behind the scenes. The color combination adds life to the design and blends well with other features. You can add more meaning and beauty to heartbeat tattoo design by including elements that you find to be appealing. 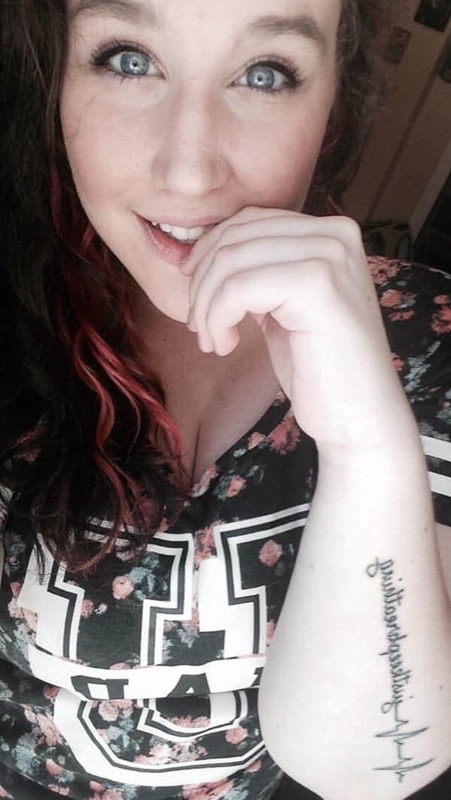 The words used alongside the tattoo design creates such an adorable outlook. Use of the actual heart in heartbeat tattoo looks beautiful. The placement of the heart symbol in the tattoo is also key. Ensure that the wavy lines connect with the symbols used well. 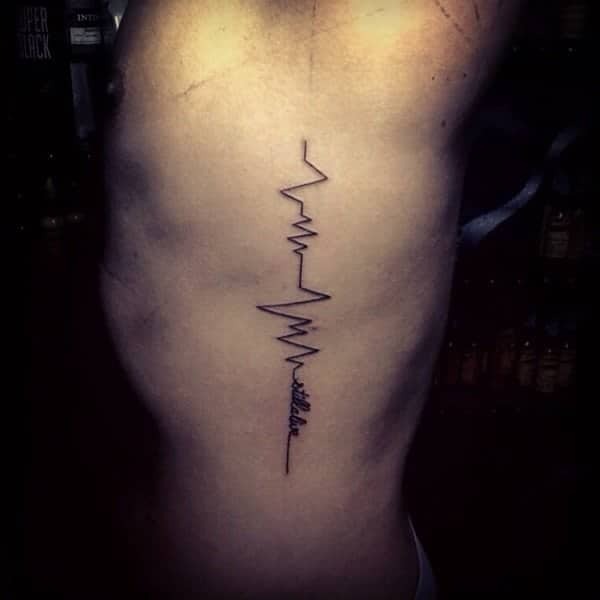 Heartbeat tattoo is one artwork that’s generating a lot of interest with many people opting for it. The design below is also simple and fits well on the leg where it’s worn which is great. 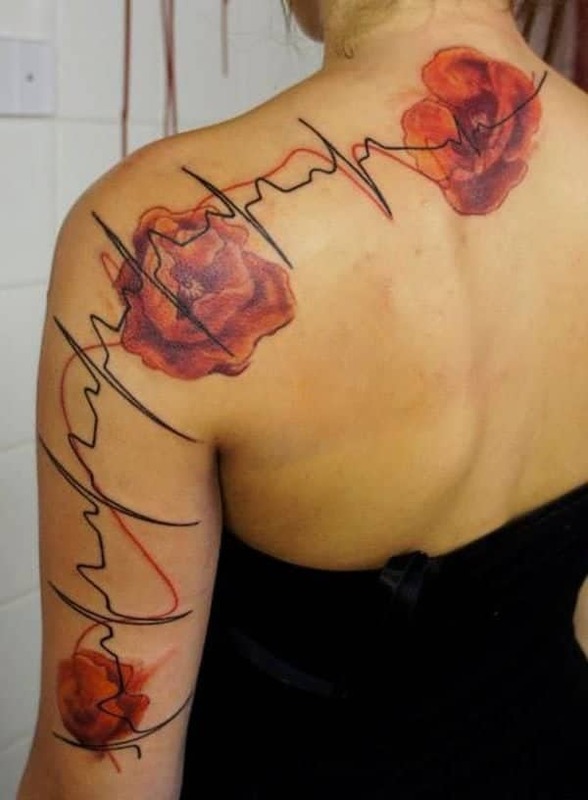 The heartbeat tattoo below is a spectacular design and expresses a combination of several elements. 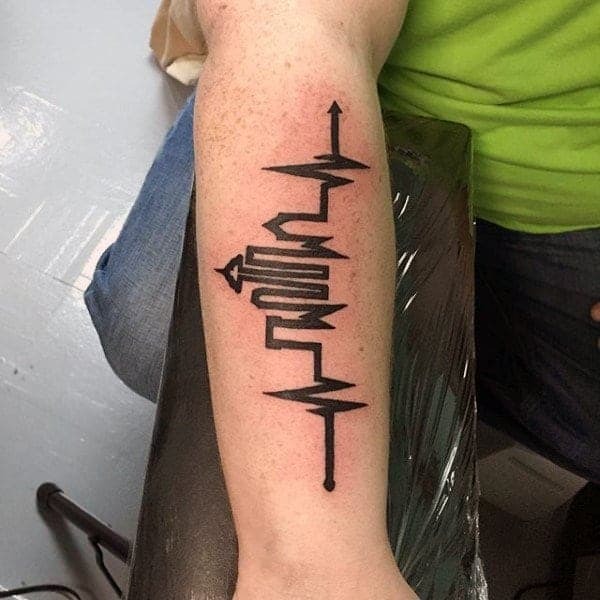 Make your heartbeat tattoo design unique with a combination of elements that you fancy. The design also fits well on the lower rib cage where it’s worn. The one color used in the design adds beauty and style to the design. As you use the elements; you also need to consider engaging an artist that’s well versed with the art. Placement and balancing of the elements used should be looked into for a beautiful appeal. 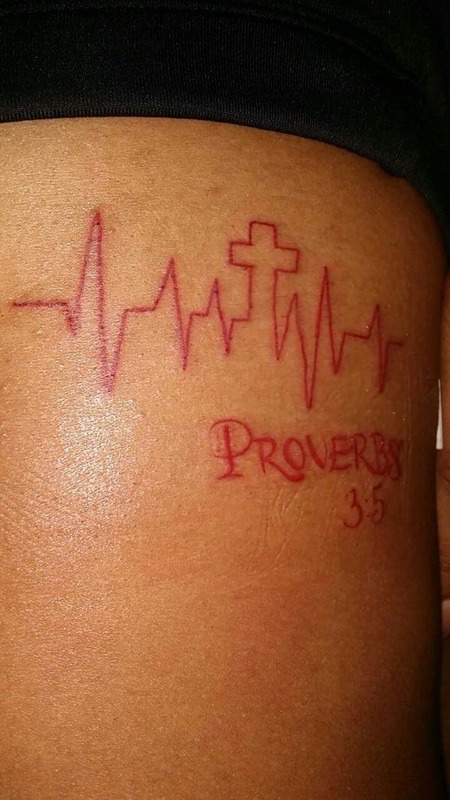 An expert artist is capable of transforming a simple heartbeat tattoo design into something that’s quite magnificent. The design below is quite eye-catching with the dark shades used in the element enhancing the overall outlook. It also fits well on the feet going by its size with the one color used blending perfectly well. The dove is a beautiful bird that symbolizes many things. Connecting the symbol of a dove to heartbeat tattoo has a way of not only enhancing the beauty but also expresses a deeper connection with what it means. Attaching the heartbeat tattoo to a name and a bird feature expresses a deeper meaning of the design. The stylish pattern used in the design and the color blends quite well. Adding features with emotional significance helps in enhancing the visual appeal of the design. The pink and blue colors used blend so well with the dark colors used for the heartbeat waves. If you have a deep connection with your pet then you can show it through your tattoo. The design below features pet foot elements which express a deeper connection with the wearer. You can add some feminine features to the design by incorporating some elements like colors. The pink color used in the heartbeat tattoo design below looks spectacular and enhances the visual appeal. If you are looking for a design that’s not very conspicuous then you can consider the tiny design below. If the bright pink matches your sense of style then its worth considering. The bright pink color makes the tiny heartbeat tattoo to really pop.